Sam has a white T with a black palm tree on it. The leaves of the palm tree are the only part of the design we ever see. NOTE: This could very well be the white T-shirt that Sam often wears under his sweaters – we can’t know, because we can’t see the logo. I can only report the appearances in which I’m 100% it is this particular white shirt. Mary – then presumably he has to change out of it due to blood stains. 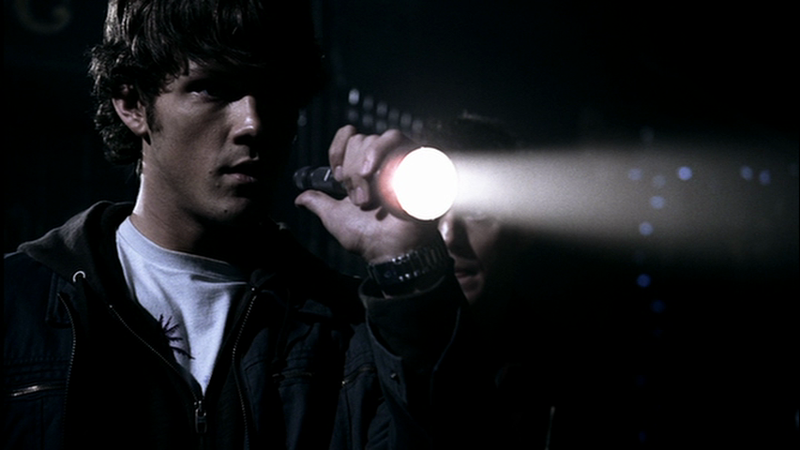 In Faith (1x12), Sam wears the T to Dean’s doctor’s appointment after he his healed, and when investigating the death of the swimmer.